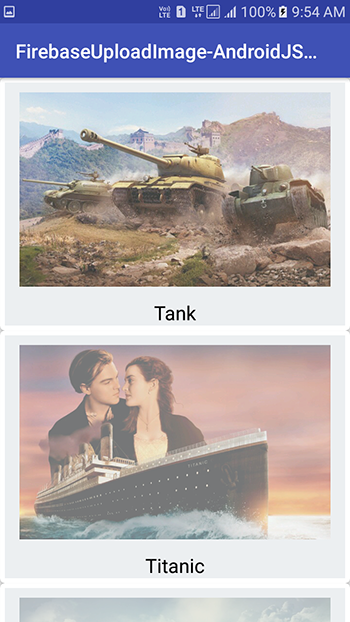 How to display images stored in Firebase storage along with image name stored in real time database, inside RecyclerView CardView example tutorial. 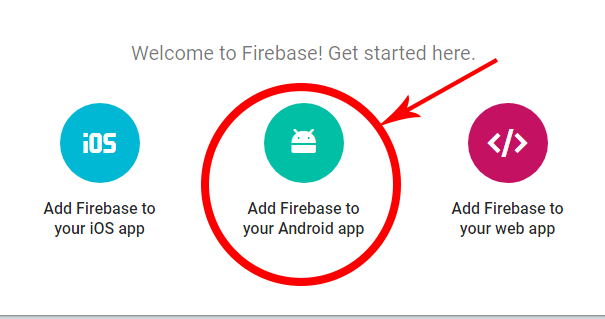 This is the most advanced android tutorial, because in this tutorial we would going to fetch all the uploaded images along with their names which is also stored inside the Firebase Real time database into the fully custom RecyclerView one by one. Please going further in this post you have to read my above mentioned post because this is the second part of current post. 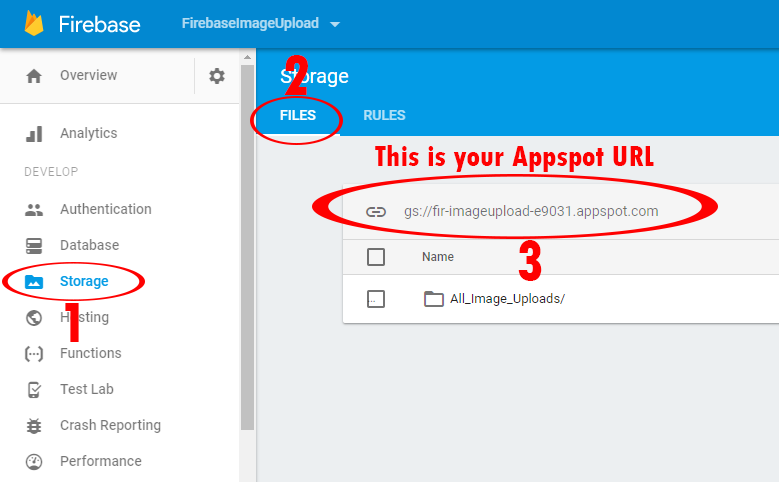 Read my previous tutorial about Upload Image with Text to Firebase Storage. Add internet permission in your project. Add new activity named as DisplayImagesActivity in your project. Add RecyclerView activity_display_images.xml file which is the main layout file for DisplayImagesActivity . Create additional new recyclerview_items.xml layout file. 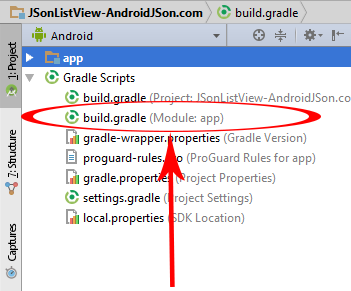 Create RecyclerViewAdapter.java class extends with RecyclerView.Adapter . Create DatabaseReference, RecyclerView, RecyclerView.Adapter, ProgressDialog, List<ImageUploadInfo> list objects in DisplayImagesActivity . 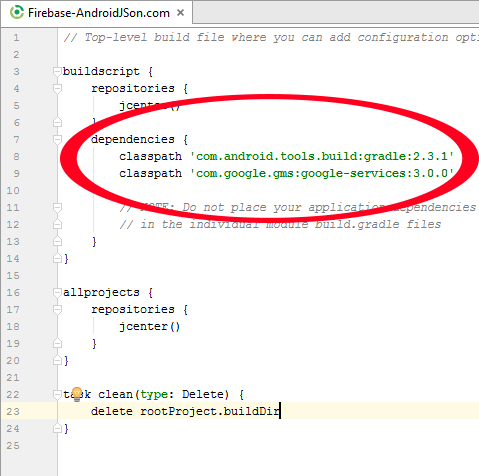 You can find ImageUploadInfo.java class in our previous mentioned tutorial. Assign Id and customizing the RecyclerView in DisplayImagesActivity. Showing the Progress dialog in DisplayImagesActivity. 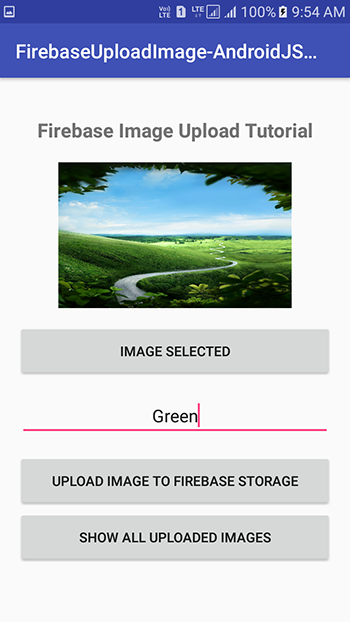 Assign the Image upload folder path to DatabaseReference object using FirebaseDatabase.getInstance() in DisplayImagesActivity. Adding addValueEventListener() on DatabaseReference object. Add addition button widget in activity_main.xml file . Create button object and assign id to above button in MainActivity . Add click listener on DisplayImageButton . 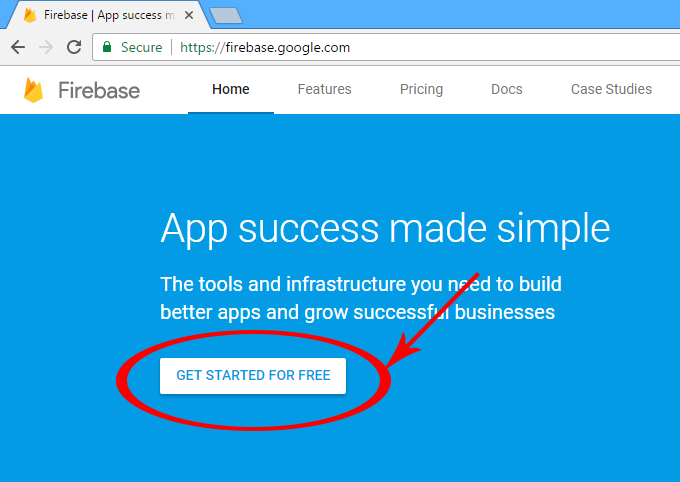 compile ‘com.google.firebase:firebase-database:10.0.1’ and compile ‘com.github.bumptech.glide:glide:3.7.0’inside dependencies block . 18. 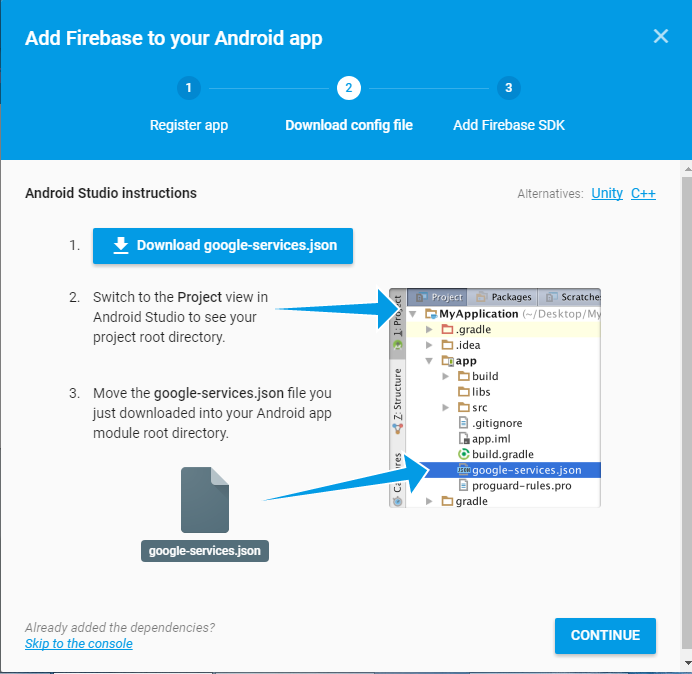 Open firebase.google.com , Select your project. 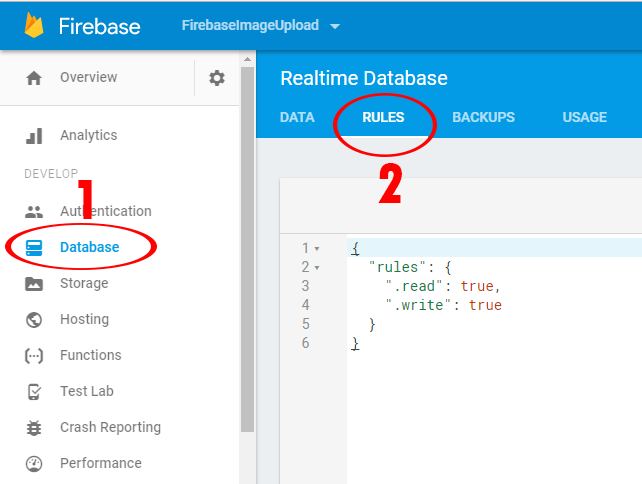 Now click on Database -> Rules . 19. Add below rules in it just like i did in above screenshot. 20. Click on Storage -> Rules. 21. Add Storage rules like i did. You need to replace my appspot url with yours. 22. You can find your Appspot url on Storage -> Files. 2. 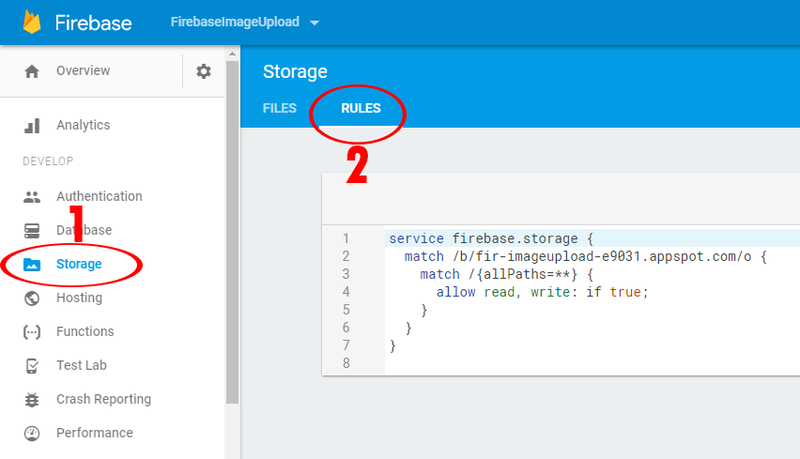 Read my previous tutorial about Upload Image with Text to Firebase Storage. 4. Add new activity named as DisplayImagesActivity in your project. 5. Add RecyclerView activity_display_images.xml file which is the main layout file for DisplayImagesActivity . 6. 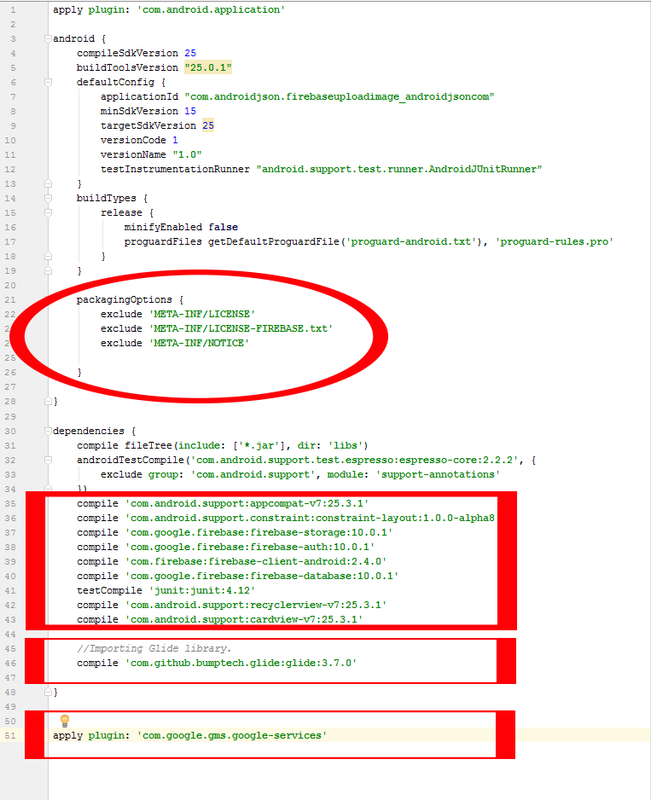 Create additional new recyclerview_items.xml layout file. 7. Create RecyclerViewAdapter.java class extends with RecyclerView.Adapter . * Created by AndroidJSon.com on 6/18/2017. //Loading image from Glide library. 8. Create DatabaseReference, RecyclerView, RecyclerView.Adapter, ProgressDialog, List<ImageUploadInfo> list objects in DisplayImagesActivity . You can find ImageUploadInfo.java class in our previous mentioned tutorial. // Creating List of ImageUploadInfo class. 9. Assign Id and customizing the RecyclerView in DisplayImagesActivity. // Assign id to RecyclerView. // Setting RecyclerView size true. // Setting RecyclerView layout as LinearLayout. 10. Showing the Progress dialog in DisplayImagesActivity. // Assign activity this to progress dialog. // Setting up message in Progress dialog. 11. 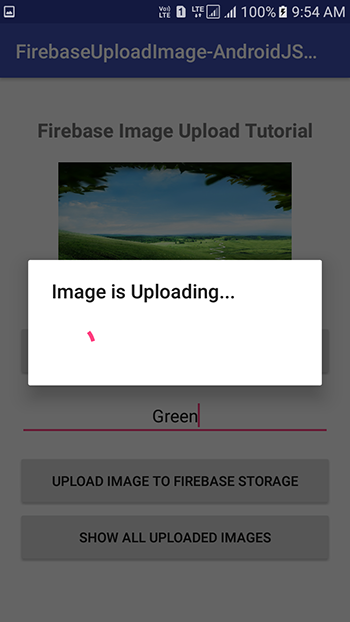 Assign the Image upload folder path to DatabaseReference object using FirebaseDatabase.getInstance() in DisplayImagesActivity. 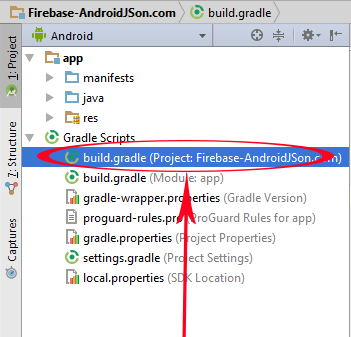 // Setting up Firebase image upload folder path in databaseReference. // The path is already defined in MainActivity. 12. Adding addValueEventListener() on DatabaseReference object. // Adding Add Value Event Listener to databaseReference. // Hiding the progress dialog. 13. Add addition button widget in activity_main.xml file . 14. Create button object and assign id to above button in MainActivity . 15. Add click listener on DisplayImageButton in MainActivity. 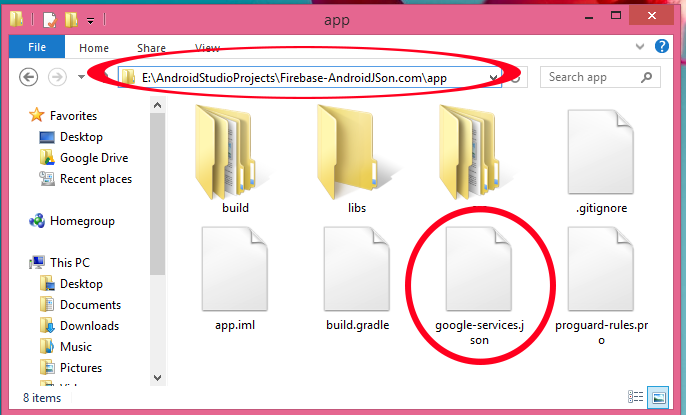 // Folder path for Firebase Storage. // Creating StorageReference and DatabaseReference object. // Image request code for onActivityResult() . 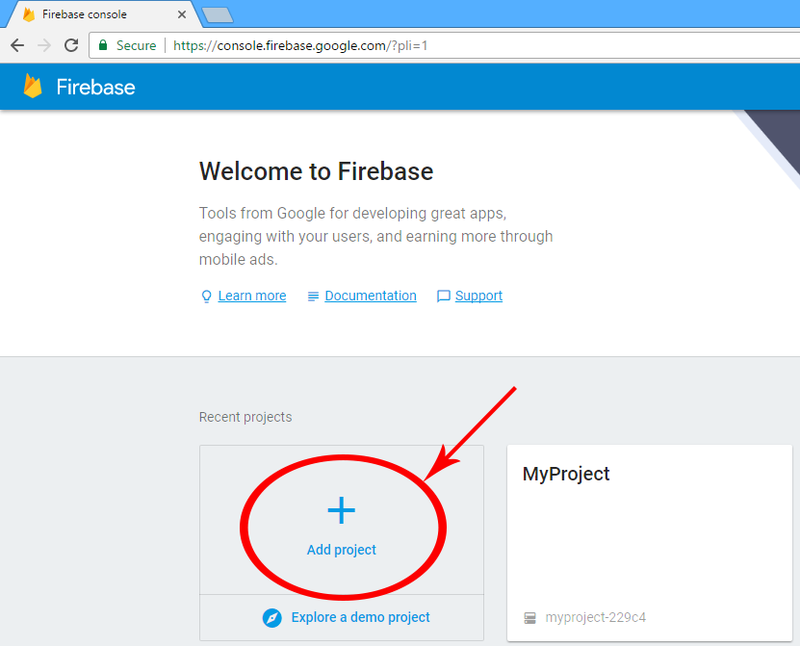 // Assign FirebaseStorage instance to storageReference. 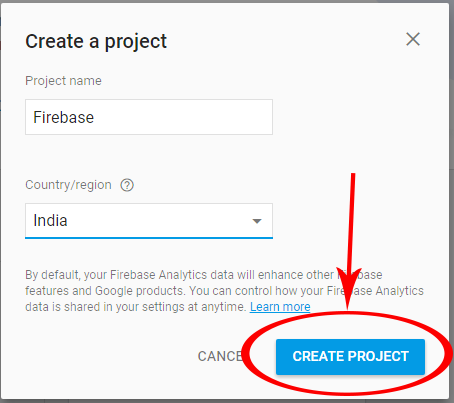 // Assign FirebaseDatabase instance with root database name. // Assign ID's to EditText. // Assign ID'S to image view. // Assigning Id to ProgressDialog. // Adding click listener to Choose image button. 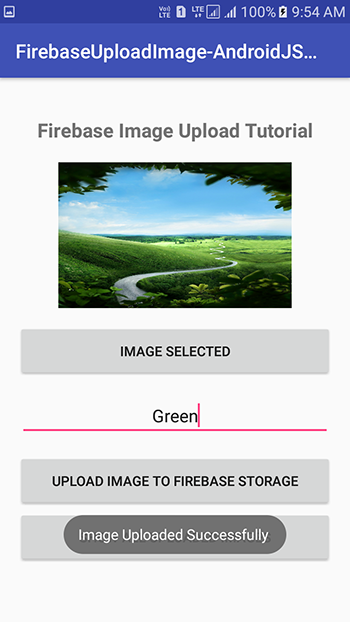 // Setting intent type as image to select image from phone storage. // Adding click listener to Upload image button. 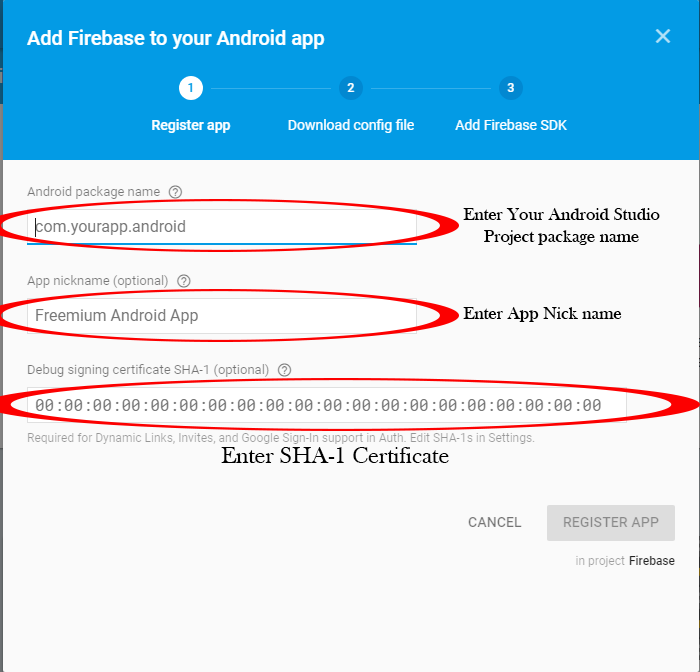 // Calling method to upload selected image on Firebase storage. // Getting selected image into Bitmap. // Setting up bitmap selected image into ImageView. 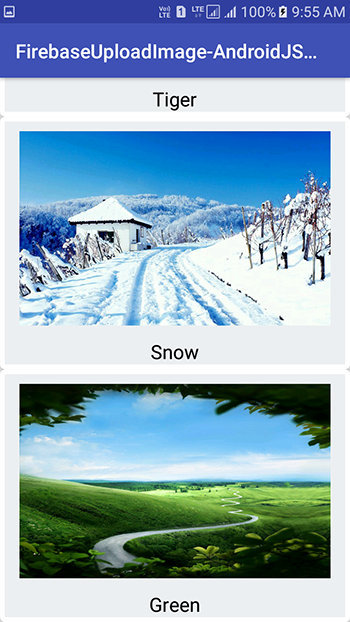 // After selecting image change choose button above text. // Creating Method to get the selected image file Extension from File Path URI. // Returning the file Extension. 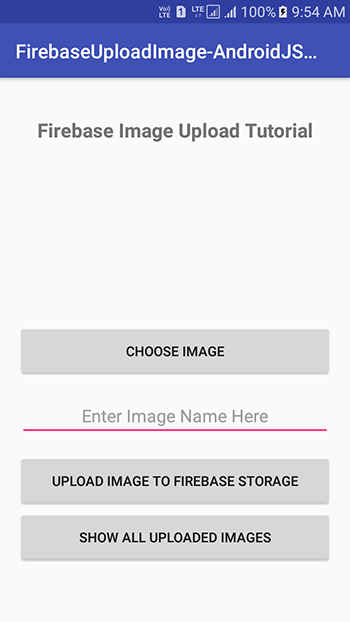 // Creating UploadImageFileToFirebaseStorage method to upload image on storage. // Checking whether FilePathUri Is empty or not. // Adding addOnSuccessListener to second StorageReference. // Getting image name from EditText and store into string variable. // Hiding the progressDialog after done uploading. // Showing toast message after done uploading. // Getting image upload ID. // Adding image upload id s child element into databaseReference. // If something goes wrong . // Showing exception erro message. // On progress change upload time. Code for activity_display_images.xml layout file. * Created by AndroidJSon.com on 6/10/2017.